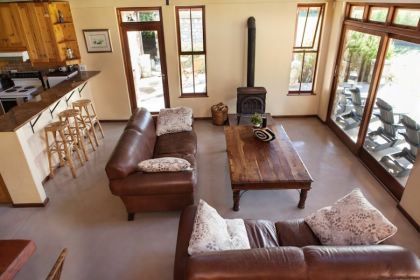 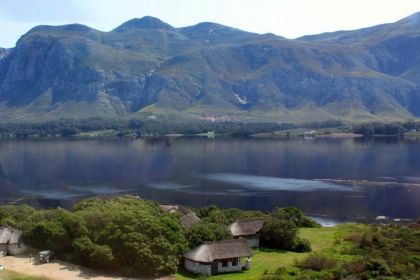 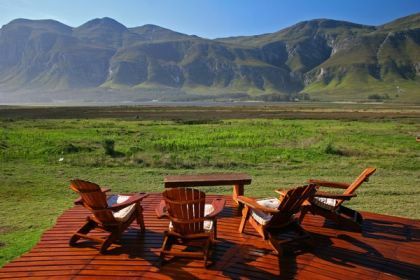 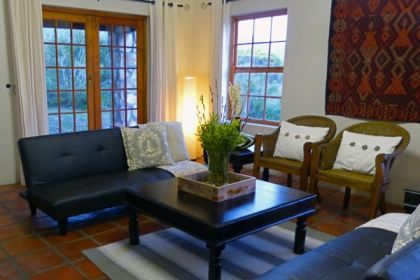 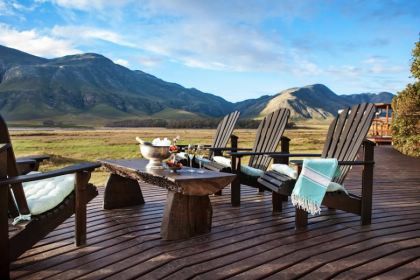 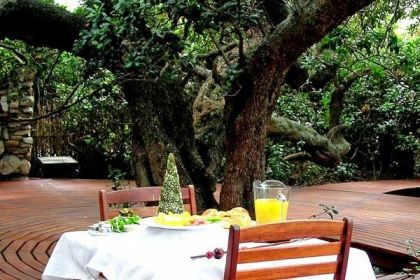 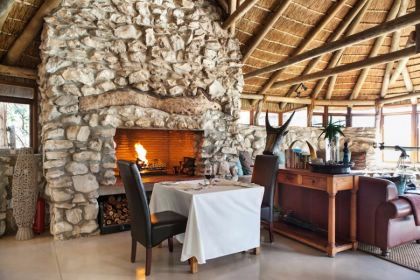 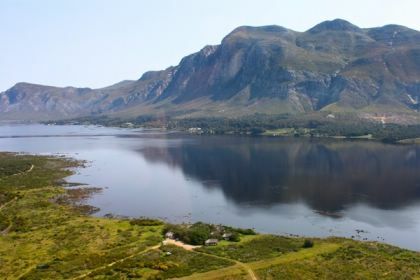 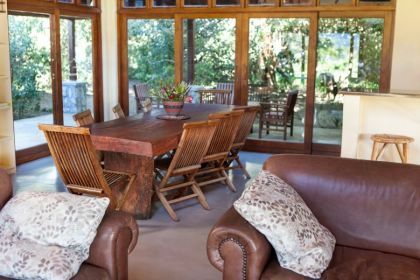 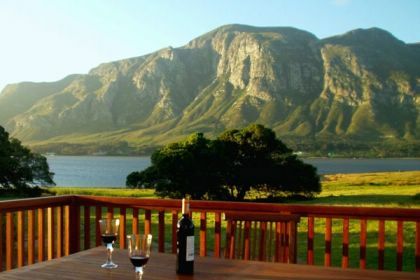 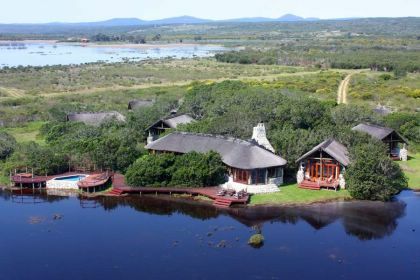 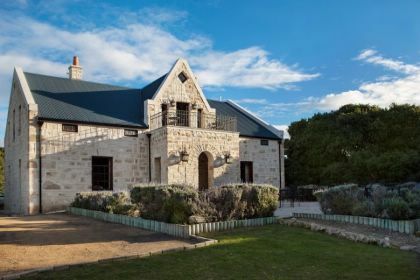 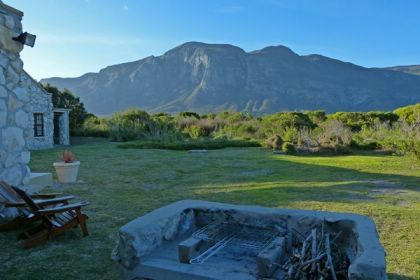 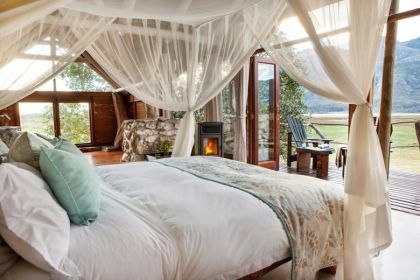 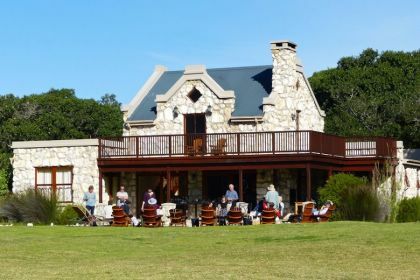 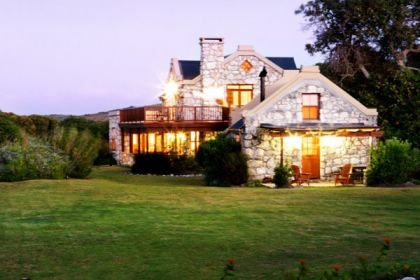 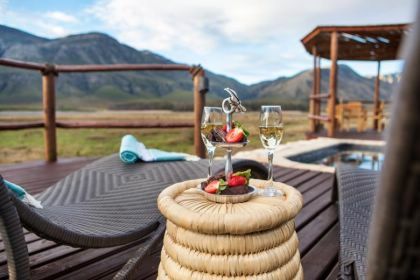 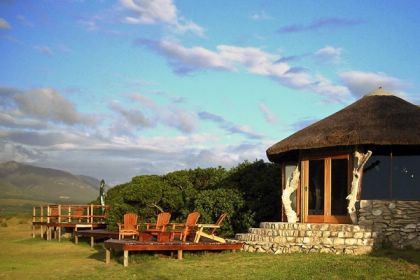 For the ultimate private getaway, Lagoon Lodge captures the essence of tranquility with just five safari-style suites secluded among ancient milkwood trees on the edge of the Hermanus Lagoon. 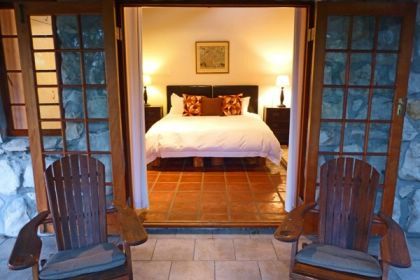 Stone and glass walls open onto private decks with gorgeous mountain views. 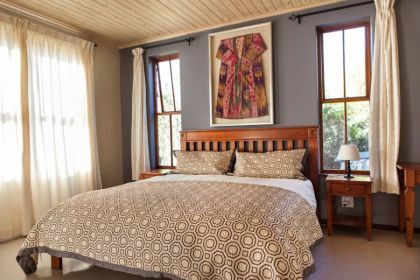 Each room has beautiful soft netting surrounding a king bed, a sitting area, writing desk, fireplace and ceiling fan. 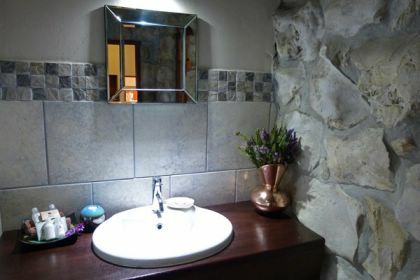 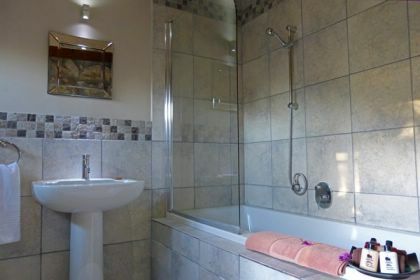 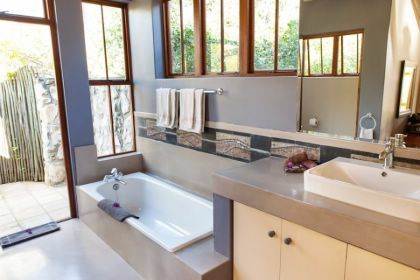 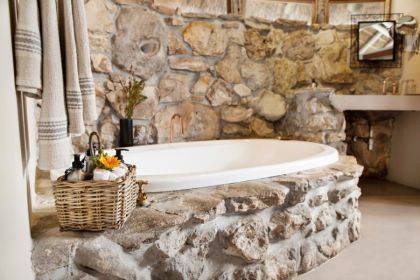 The bathrooms are fitted with a large romantic tub, copper sink and a private outdoor shower for an African bush experience. 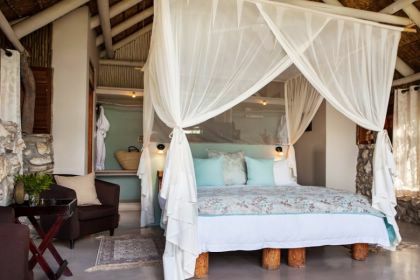 Twin beds can also be accommodated. 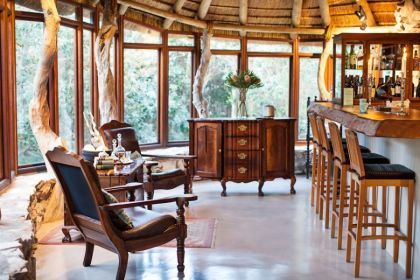 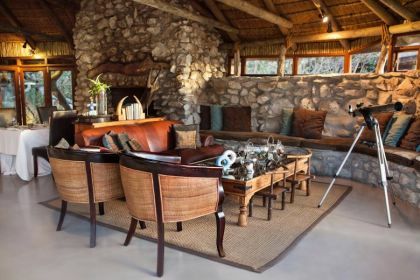 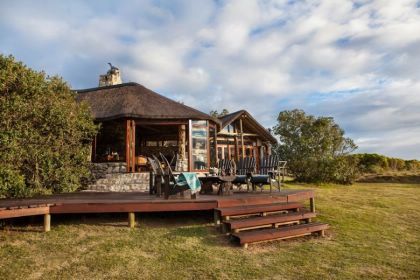 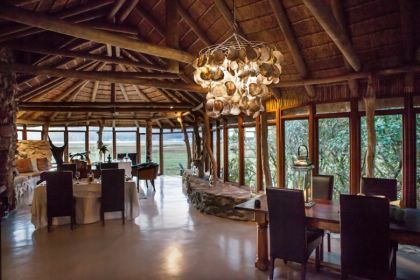 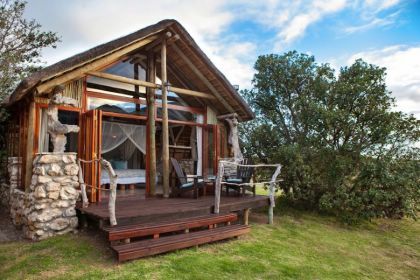 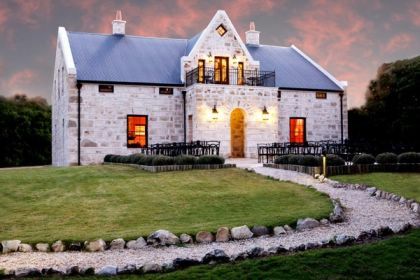 The chalets of the Lagoon Lodge are beautifully built with stone and thatch. 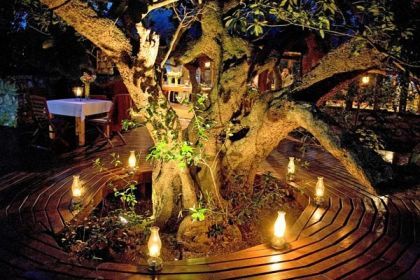 Boardwalks under a canopy of trees lead to the lounge where drinks and meals are shared outdoors or by a fireplace that will warm your soul. 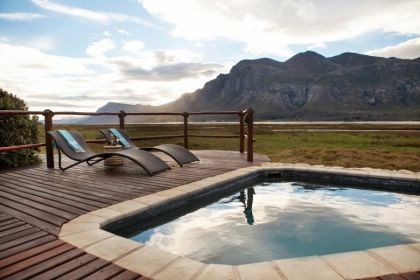 A heated plunge pool overlooking the mountains is a favorite place to spot your favorite birds. 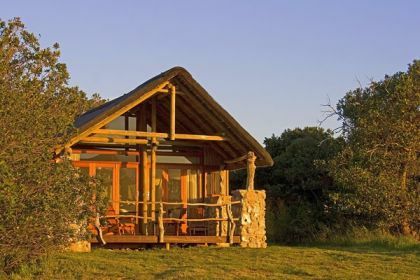 And as evening falls, you will witness the exquisite colors of the sun setting and the glorious expanse of the star-filled South African sky.